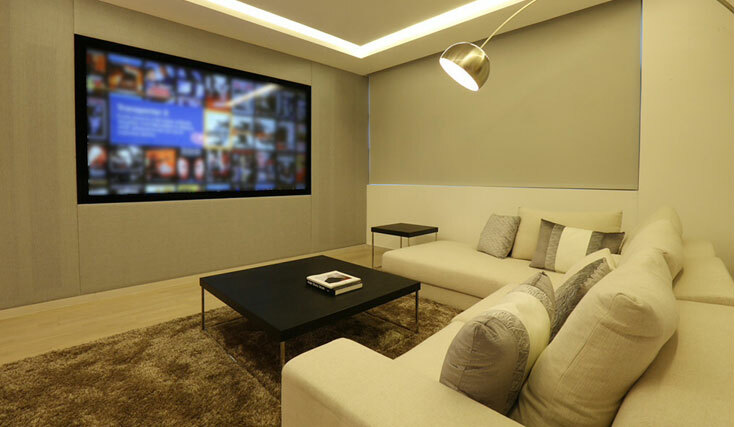 Archmedia, a leading residential systems integration company based in the Middle East, recently installed a multi-purpose media room utilising a Digital Projection E-Vision 8000 projector. 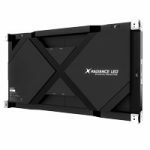 The 8,000 ANSI Lumen Single Chip DLP projector was chosen due to its high lumen output, compact chassis and stunning colour gamut. 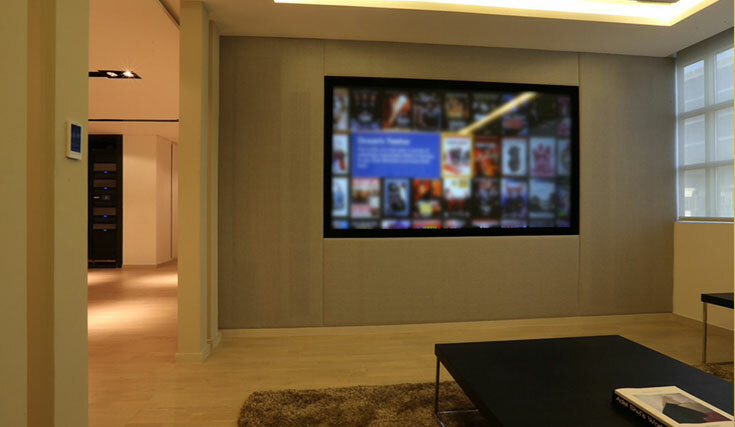 The final installation featured a Stewart StarGlass 110” screen with a mirror system and utilised a variety of video sources including a Kaleidescape media server, an Apple TV and Cable TV. To compliment the video set-up, the audio sources included Airplay, Itunes, Kaleidescape and a Rega Turn Table. 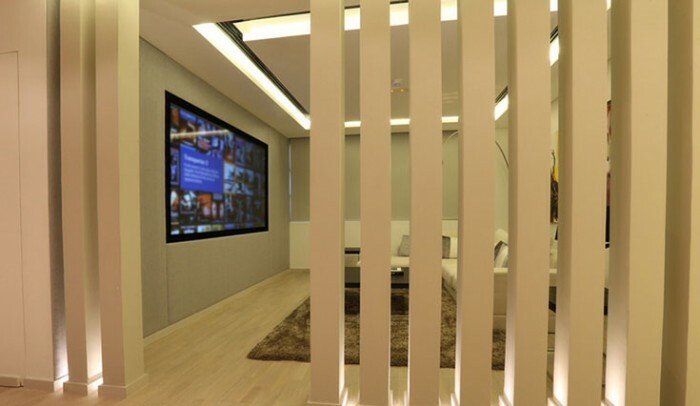 To match the premium video solution, the room also features Wisdom Audio speakers and subwoofers, powered by Classé, with Integra processing, providing visitors with the complete audiovisual experience. 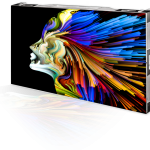 This whole installation demonstrates how the competitively priced E-Vision 8000 can be utilised in rooms with both low and high ambient light to create a stunning AV experience. 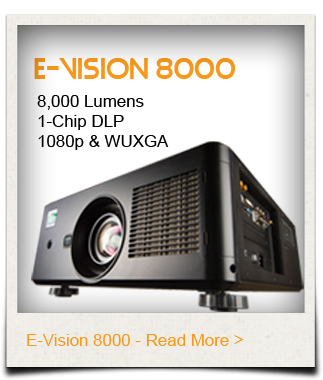 The E-Vision 8000 is ideal for installations of this type as it is quiet and has a wide range of lenses (0.76:1 (fixed) to 8.26:1(zoom)) making it extremely flexible for a variety of mounting positions. We would like to thanks Archmedia (http://www.archimedia-me.com/) for the use of photographs used in this case study.